Staff, students and members of the public will be getting their hands dirty to show that science is for everyone at the University’s Science Fair this Saturday. The free event, which ran for the first time earlier this year, is being organised by the Stirling chapter of Science Grrl, the national organisation which celebrates women in science and aims to instil a passion for science in the next generation. It is supported by the University of Stirling and Forth Valley College. University experts in Computing Science and Maths, Psychology, Health and Exercise, and Biology will lead interactive demonstrations about a variety of bugs, plants and diseases. A series of hand-on activities will help visitors learn about the environment and give them an opportunity to try out the tools used in University research. Other activities available on the day will include a science treasure hunt, games and quizzes. 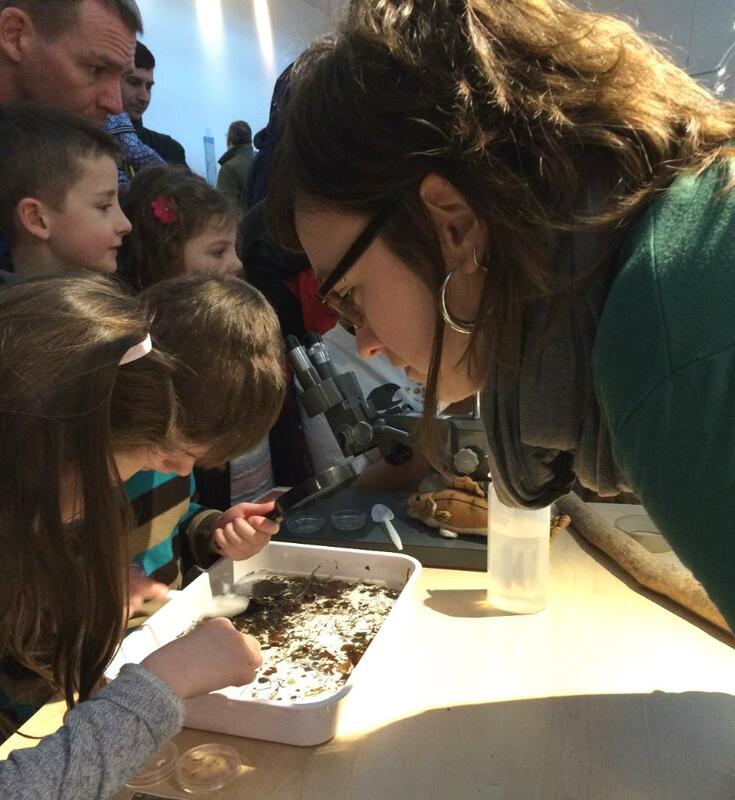 Professor Rachel Norman, organiser of the event, said: "Our first Science Fair in February was a great success, with lots of people of all ages coming along to take part and find out more about our natural environment. "This weekend’s event will again see Stirling undergraduates, PhD students and staff working together to show that science is accessible and open to all. "It’s also a great opportunity for the University to welcome the local community on to campus to meet our staff and students. "We hope that many of those we welcome to campus will be the scientists of the future." The event links into the University’s commitment to advancing women's careers in Science, Technology, Engineering, Mathematics and Medicine (STEMM) academia through its Athena SWAN activities. The University particularly encourages girls to visit the Science Fair to explore their interest in science. The Science Fair will take place from 10am to 4pm on Saturday 26 September in the Atrium in the University’s Andrew Miller Building and outside. The event is free and suitable for all ages. Media enquiries to David Tripp, Communications Officer, on 01786 466 687 or email david.tripp@stir.ac.uk. For more information on Science Grrl at Stirling, please visit www.cs.stir.ac.uk/sciencegrrl.